Pauline Collins was born in September 1940 in Exmouth Devon. She came to prominence in 1971 when playing the part of Sarah Moffat in BBC's Upstairs, Downstairs and the 1979 spin-off Thomas and Sarah. After having played the title-role in the play Shirley Valentine - she reprised the role in the 1989 film adaptation of the same name, winning a BAFTA. Her first appearance in Doctor Who was as Samantha Briggs in the 1967 Second Doctor story "The Faceless Ones". This role nearly led to her becoming one of The Doctor's companions. But she turned down this offer to concentrate on other roles. She then returned to show as Queen Victora in the 2006 Tenth Doctor story "Tooth and Claw" - making her one of the few performers to have acted in both the original and revived runs of the show. Other television appearances include: The Saint (1966), The Liver Birds (1969), No, Honestly (1974-75), The Black Tower (1985), Tales of the Unexpected (1980 & 1988), Forever Green (1989 - 1992), The Ambassador (1998-99), Bleak House (2009), Merlin (2010) and Mount Pleasant (2011-12). She was awarded the O.B.E. (Officer of the Order of the British Empire) in the 2001 Queen's Birthday Honours List for her services to drama. One of the longest-reigning monarchs in British history, Queen Victoria would merit a closer look even if she hadn’t encountered The Doctor on three separate occasions, the third encounter having a particularly long-term impact on The Doctor’s future role in Earth’s defence. Historically, Victoria is known for both the scale of the British Empire under her reign, the sheer length of her reign - lasting from her teenage years until her death at the age of 81 -, and the long period of mourning she entered after the death of her husband, the royal consort Prince Albert, remaining in private for most of her life and rarely making public appearances, even if she was still a capable ruler of her empire. The Doctor first met Queen Victoria when she was contacted by James Lees, a medium - a young man who claimed to be able to speak to the spirits of the dead - who claimed that he had a message from her deceased husband, Albert, in 1863 ("Empire of Death"). While attending a séance in Albert’s crypt, during which James passed on a message that there was a doorway to the afterlife near James’s village that would allow Albert and Victoria to be reunited while Victoria lived, the TARDIS materialised outside the tomb, the Fifth Doctor and Nyssa having detected a rift in reality that appeared to be caused by James’s abilities. Posing as Doctor John Smith, a scientist sent by Scotland Yard to investigate James’s claims, and his associate Lady Nyssa of Traken, The Doctor was able to convince Queen Victoria to allow him to study James’s abilities, Victoria being so impressed by his open mind and scientific expertise that she went so far as to appoint him her scientific advisor for the duration of the investigation. Although naturally sceptical that James was actually able to reach the afterlife, The Doctor quickly determined that there was something unusual about James when he spoke in Adric’s voice ("Earthshock") and managed to manifest a solid illusion of Tremas ("The Keeper of Traken"), warning Victoria after James escaped the palace to hold off on entering the rift until he could analyse it himself, claiming that the chance of it being Purgatory or worse rather than Heaven were too great for comfort. However, while The Doctor and Nyssa travelled to the rift to investigate it in person, things quickly went wrong when General Doulton, the commander of the British military force sent to assist them - a force that was far too large for The Doctor’s comfort, suggesting that Victoria intended to claim the ‘afterlife’ for the Empire -, began to display increasingly irrational behaviour, such as accusing The Doctor and Nyssa of killing two local villagers even after his sergeant informed him that two men who had gone near the rift had died in a similar manner before The Doctor even arrived at the camp. After travelling through the rift himself, The Doctor realised that it was not actually a rift into the afterlife, but a means of accessing another realm where the inhabitants could partly mould themselves based on the expectations of their visitors; when James had discovered the rift as a boy, the entrance had resembled the ‘light at the end of the tunnel’ that was stereotypically assumed to be seen when someone was dying and going to Heaven, with this idea shaping his subsequent perception of the realm he found at the other side of the rift. The James that had travelled back through the rift was actually one of these creatures assuming James’s identity to make contact with humanity while James remained on the other side of the rift, never aging beyond his original eight years, but James’s apparent powers when he returned to Earth had resulted in him being sent to an asylum after his return to Earth, with the result that the creatures had concluded that humanity should be destroyed even as Nyssa - who had become trapped on the other side of the rift in a realm based on her memory of Traken - argued that their actions had been based on ignorance rather than malice. More significantly, The Doctor realised that some of the people who had come back through the rift, such as Doulton, were actually duplicates created by the creatures - the creatures were apparently unable to duplicate The Doctor and Nyssa; most likely they had spent some time ‘studying’ James to copy his species exactly and were thus thrown off by their alien biology -, accounting for the anomalous behaviour of certain members of the group. As Victoria arrived at Corra Linn, the location of the rift, following the discovery that The Doctor and Nyssa weren’t employed by Scotland Yard as they had claimed, the original Doulton managed to escape from the rift, only to prompt the duplicates into taking Victoria and The Doctor captive. As the duplicates planted explosives around the rift to blow it open and consume Earth, The Doctor escaped his manacles and freed the other prisoners, but, without the time to return to the other side to rescue the prisoners and seal the rift, he was forced to allow Doulton to return to the other side to rally his men to mount a delaying assault against the creatures in their home realm. Thanks to Doulton’s sacrifice, Nyssa and James escaped back to Earth while The Doctor stole the detonator, allowing the soldiers to detonate the explosives early and destroy a nearby dam, the resulting flood killing the duplicates but leaving The Doctor with no way to recover Doulton’s men. With the crisis resolved and the rift sealed - James even finding a home with one of the sergeants in the unit, who noted that he and his wife had always wanted children but never managed to conceive -, The Doctor departed after warning Victoria to keep these events secret. Assuring The Doctor that she would never reveal these events - jokingly commenting that she could be considered as insane as her grandfather if this became public -, Victoria also informed The Doctor that he would remain her scientific advisor, and noted that she had briefly experienced a vision of the real Albert while unconscious after an attack that gave her hope that she would see him again at some point. The Doctor and Victoria indirectly met during The Doctor’s fifth incarnation for a second time when The Doctor discovered a diary in the TARDIS’s time safe - a safe where objects were placed later for prior use - detailing an expedition to the Moon in 1878 that had been overseen by Victoria herself, commanded by Captain Richard Halliwell using the impeller engine created by the brilliant Professor Boyes-Dennison ("Imperial Moon"). The Doctor’s companion Turlough was initially sceptical of such a story, but The Doctor noted that Victorian society was theoretically capable of creating a structurally-sound spaceship, with their only shortcoming being an inability to create the necessary propulsion system. This anomaly was explained when they discovered an alien park on the dark side of the Moon; this park was inhabited by the Vrall, a race of brutal killers who had been trapped in the park long ago and now sought to consume Earth, who had used their ability to genetically encode knowledge to send RNA ‘packets’ to Earth that would inspire the right mind to create the necessary propulsion system to enable humanity to build spaceships that could reach their park and rescue the Vrall from their captivity. Although two of the three ships in the expedition were able to return from the lunar park with The Doctor’s aid, accompanied by apparent allies in the form of the beautiful Phiadorians, the Phiadorians were swiftly revealed to actually be hosts for the Vrall, with the Vrall living inside the Phiadorians to present an unthreatening appearance and manipulate the British to destroy the park’s warden and the defences preventing them from leaving the park. Despite the odds against them - with Victoria only being saved from death at the Vrall’s hands thanks to her manservant getting her to safety when they exposed their true natures -, The Doctor and Turlough were able to defeat the Vrall using advanced weapons that they had recovered from the park before its destruction. With the Vrall defeated, and recognising that Victorian society’s class structure made the concept of space travel impractical as space travel relied on people being respected for their abilities rather than their social status, The Doctor had his shape-shifting android companion Kamelion pose as a vision of Prince Albert to tell Victoria that the time wasn’t right for mankind to explore the stars, not wanting to meet Victoria in person due to the potential questions that would arise from her seeing him so unaged since their last meeting. As a result of her ‘vision’ of Albert, Victoria had the remaining ships destroyed and ordered all records of the expedition to be suppressed, the men being ordered to keep their activities secret, although the expedition leader gave The Doctor his own personal diary as he trusted The Doctor’s discretion and wanted to be sure that some record of their incredible adventure survived. The Doctor and Victoria met again in The Doctor’s tenth incarnation, when The Doctor’s attempt to take Rose Tyler to a concept in 1979 backfired when he made a mistake entering the coordinates and the TARDIS materialised in 1879 in front of Victoria’s carriage instead ("Tooth and Claw"). Using the psychic paper to convince Victoria to allow them to accompany her, The Doctor joined Victoria for dinner at a nearby manor - she was taking her yearly trip to Balmoral Castle but had been diverted from her usual route due to a mysterious accident -, simultaneously learning of a local legend about a werewolf that had appeared after a star fell from the sky, and a group of monks who turned from God to worship the wolf. Unfortunately, The Doctor didn’t realise what was happening until after the monks in question had attacked, the monks having taken the residents of the manor hostage with the intention of infecting Victoria with the werewolf ‘virus’ - cellular matter that had been passed down through infection after the matter in question was the last ‘survivor’ of a crashed alien ship - and creating the ‘Empire of the Wolf’. Realising that Albert had learned about the werewolf and had taken preparations to defeat it, The Doctor was able to use the manor’s specially-designed telescope and the massive Koh-i-noor diamond to hit the werewolf with a concentrated blast of moonlight - the Koh-i-noor essentially serving as a focus that turned the telescope into a ‘laser’ for the moonlight -, the resulting energy essentially drowning the werewolf in the moonlight it relied on in the same way that humans could drown in water. 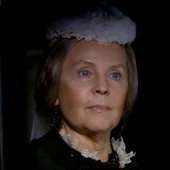 However, although Victoria knighted The Doctor and Rose for their role in saving her from the werewolf, she subsequently banished them from the British Empire for their role in bringing destruction to her kingdom and their flippant attitude towards it - despite the fact that the wolf had been there long before they arrived -, with Victoria subsequently beginning plans to create an organisation to protect Britain from The Doctor and other aliens, naming it ‘Torchwood’ after the manor where the attack had taken place. Considering the circumstances of their last meeting, when The Doctor - albeit through Kamelion - convinced Victoria that mankind wasn’t ready to accept the possibilities of space travel, it is tempting to consider the possibility that Victoria’s cold attitude towards the Tenth Doctor was ‘inspired’ by the Fifth’s attempt to warn her about the dangers of space, with Victoria taking ‘Albert’s’ warnings that humanity wasn’t ready for the stars so seriously that she came to consider anything not from Earth a potential threat. While The Doctor’s personal relationship with Victoria has varied thanks to his different incarnation’s attitudes towards the threats facing them - the Fifth Doctor taking the situation in a serious, solemn manner while the Tenth Doctor was far more jocular about it -, he has generally retained an obvious respect for her abilities as a ruler, with the Eighth Doctor once noting that the nineteenth century and the Victorian era was his favourite time period of Earth’s history ("The Banquo Legacy"), and The Doctor often acting to protect Victoria without her knowledge (Such as the Seventh Doctor thwarting a plot to assassinate her by rapidly-evolving madman Josiah Samuel Smith who sought to take control of the British Empire ("Ghost Light")). Even Torchwood, created by Victoria to hunt The Doctor, has gone on to become a useful ally to him when the situation calls for it (Albeit because the only branch of Torchwood left active in the present is run by The Doctor's former companion Captain Jack Harkness ("The Empty Child/The Doctor Dances" and "Everything Changes"), reflecting how Victoria's greatest legacy is still to act in Britain's defence even if certain branches lost their way before their destruction.